Is there an easy answer to this question? No. “If it was easy, everybody would do it.” That doesn’t help does it? So, why do beginner runners struggle with long runs during a half marathon training cycle? First and foremost, almost all new runners that are training for their first half marathon will struggle with long runs, some more than others. Most first-time long distance runners go into training thinking that they have to perfectly run a designated amount of miles per their training schedule and not mess up on any long runs. Both are false assumptions. Of course, I’m not telling you to purposely flop your runs. I just want to lay out a safety net in your thinking about long-distance running. There will be days that you feel like you can run forever and there will be days that you will be looking for that secret motivational pill that you just can’t seem to find. If you begin to struggle with your long runs, it’s important to remember why we have a weekly long run. The main reason we run long during training is to prepare our body and mind to go the distance of 13.1 miles. From a mental standpoint, it’s about knowing what it mentally feels like to be running for two hours plus. From a physical standpoint, your body needs to be able to store additional glycogen to fuel your body for the upper miles beyond mile 9 and 10. Your body also needs to simulate, before race day, what your body will feel like when you are on your feet for two hours or more. During a 12 week half marathon training schedule your body needs to run for at least 3 total long run sessions of at least a duration of 2 hours each session. A long run training session that calls for either a 9, 10, 11, 12-mile long run, will get you the minimum of the 3 times 2 hour long runs in before your race day. 1. Running too fast on your long run training sessions. Long runs are not designed for you to go full speed. The purpose is to train your legs to run that distance. Your long runs need to be at a comfortable pace and anywhere from 2 to 3 minutes slower than your predicted training pace for a half marathon. If you don’t have a half marathon predicted pace yet, click here to sign up for a free training schedule, log sheet, and pace predictor. 2. Stopping all together before you’ve reached your long distance goal for the day. For example, let’s say your training schedule calls for a long run of 9 miles for a given week. During your long run you break down and for whatever reason, you call it quits at the end of 7 miles instead of 9. Think twice about completely stopping in the middle of a run. Instead of not running the remainder of the 2 miles just simply walk the rest of the way. Although you’re not fully training your legs to run the last two miles of your long run, you will still be upright and on your feet pushing to complete your 9 miles. This is important! One thing to be wary of is if you keep repeating the above same scenario. If you find yourself giving up before your long run distance is complete, then you might want to pull back to an even slower pace for your long runs. I have witnessed first hand from running seven different half marathon races and watching the last runners cross the line that there are tons of runners that end up walking the last couple of miles. THERE IS NOTHING WRONG WITH THIS, especially if this is your first half marathon. The main goal for new half marathoners is to simply finish the race. 3. Not Experimenting with your fueling. Remember that long run training sessions are the time to experiment with your fueling. Also, you need to find out what pre-run meal works best for your body. On your actual race day, it’s the wrong time to experiment. You should be eating the same pre-run meal and using the same fueling strategy that worked for you during your training sessions. Click Here for my half marathon fueling strategy. Click here to read – Long Run Struggles For Beginners (Part 2 of 4) – Habits. Book #5 in the series Beginner to Finisher, Long Run Hacks – New Release! Scott Morton is the author of, Beginner’s Guide to Half Marathons: A Simple Step-By-Step Solution to Get You to the Finish Line in 12 Weeks! (Beginner To Finisher Book 3) which has become an Amazon International #1 bestseller. To sign up for a FREE half marathon training schedule, log sheet, and pace predictor click here. Why New Runners Fail: 26 Ultimate Tips You Should Know Before You Start Running! 5K Fury: 10 Proven Steps to Get You to the Finish Line in 9 weeks or less! 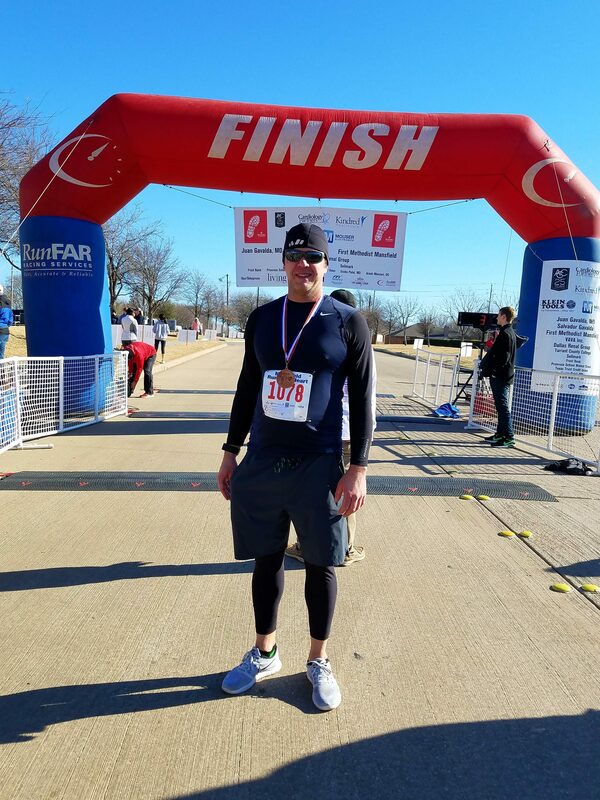 10K Titan: Push Beyond the 5K in 6 Weeks or Less! Beginner’s Guide to Half Marathons: A Simple Step-By-Step Solution to Get You to the Finish Line in 12 Weeks! Long Run Hacks: 20 Ultimate Tips to Help You Push Through Hard Runs!